Lock in a great price for Yesterday Hotel – rated 8.8 by recent guests! Staff is super nice, and the hotel has so many funny notes on each of the item they provided. Room is clean with all the boutique furnitures. Location is very good and staffs are very nice. The room is very comfortable and clean. I love this hotel. We loved this property! Rooms were clean and spacious. Decor was so cute. Staff was super friendly and helpful. Even stored our luggage while we overnighted with an elephant sanctuary. Staff always greeted us with a cheerful smile and went out of the way to please my 10 year old child. Make sure you check out the little clothing boutique along the driveway. Shopping, massages, and food are all within walking distance. Would have like to have stayed longer! The ambiance of the property especially the view of the walkway from the front entrance is amazing at night. 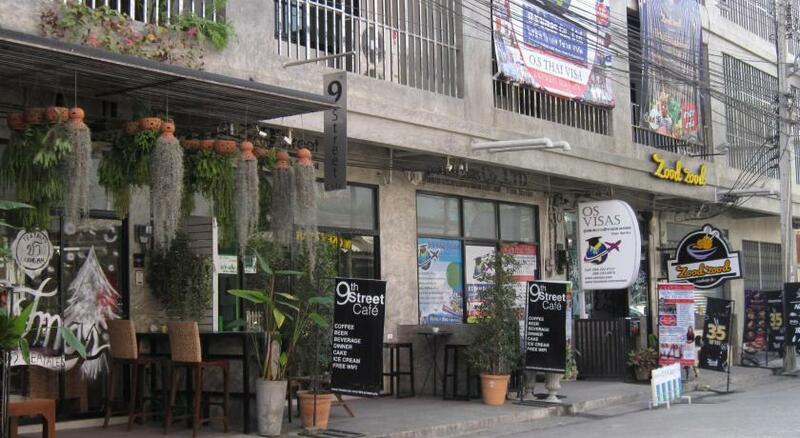 The cafe in front is a cool place to chill out as well but it can get quite hot during the daytime if you're sitting outside. 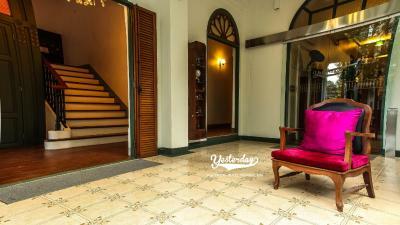 Excellent location - the hotel is set back from Nimmanhemin Road, within a nice courtyard area. Security is very tight, with residents needing to use their room key to move through the building. Breakfast was not included in my package, although the hotel does have a cafe which can provide breakfast dishes. There are also lots of other eating places nearby. The staff speak good English and can arrange tours. The One Day Elephant Lover tour with Chang Thai Heritage Tour, suggested by the staff, proved highly rewarding. Everything is excellent exp. nice place & location and good breakfast . Location, amenities, price are excellent. 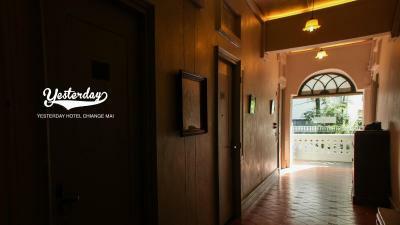 If you’re looking for Nimman hotel, this is the best you could get. Hotel provides small break room for additional water bottle and some snack free of charge. Breakfast is nice too. With all provided, the proce is surpringly reasonable. Great cozy place to stay. Quiet but not far from all youmay need during your visit to c’mai. Friendly staff. Will definitely come back. Yesterday Hotel This rating is a reflection of how the property compares to the industry standard when it comes to price, facilities and services available. It's based on a self-evaluation by the property. Use this rating to help choose your stay! 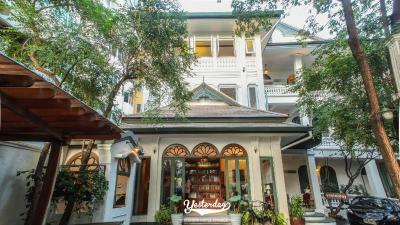 Previously a family home, Yesterday Hotel offers charming accommodations with contemporary of Thai and Colonial architecture with antique furnishings. 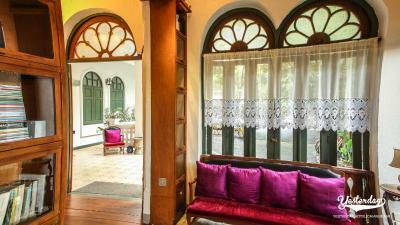 A 10-minute drive from Chiang Mai Airport, it provides free WiFi and a 24-hour front desk. 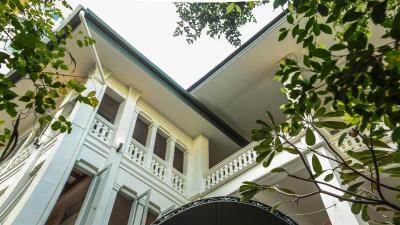 Spacious and airy with colonial style, the stylish air-conditioned rooms all come with a cable/satellite TV and a mini-bar. Featuring carpeted flooring, they also have a personal safe and a seating area. Private bathrooms have a bathtub and a hairdryer. 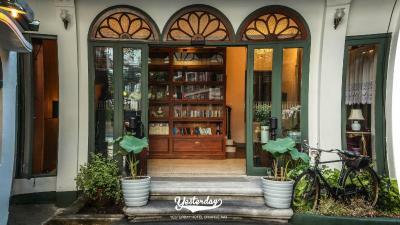 Yesterday Hotel is a 10-minute drive from the famous Sunday Market and a 20-minute drive from Arcade Bus Terminal. Free parking is available. Bicycles can be rented for free for guests to explore the beautiful estate at leisure. 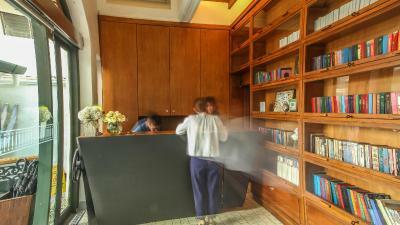 The hotel also provides laundry services, airport transfers and car rentals at an extra charge. The hotel's cafe serves a daily breakfast, as well as freshly brewed coffee. Al fresco dining within the garden is available. 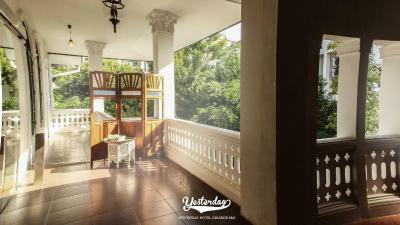 When would you like to stay at Yesterday Hotel? 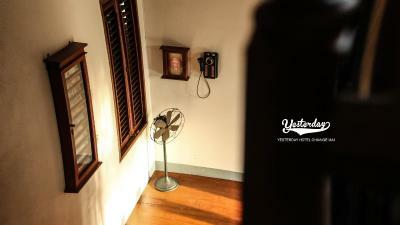 Larger than Superior rooms, this air-conditioned room features a cable TV and an private bathroom. Features a separate living room and a kitchenette. Double-story penthouse suite with 2 bedrooms, a kitchenette and a living room. Air-conditioned room features a cable TV and an private bathroom. Yesterday Hotel is, in many ways, represented the influential era of Thai identity during the mid 80s. 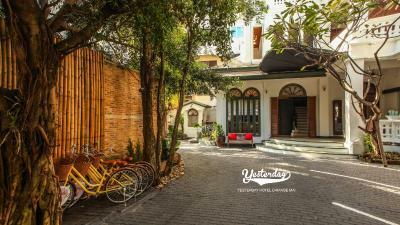 The most impressive thing about the hotel might not be only its superb convenient location in the heart of the hip city centre area as Nimmanhaemin. House Rules Yesterday Hotel takes special requests – add in the next step! Yesterday Hotel accepts these cards and reserves the right to temporarily hold an amount prior to arrival. 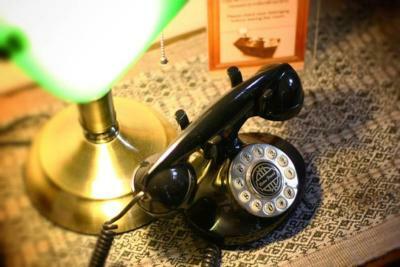 My room was pleasant, but a bit quirky - perhaps that is part of its charm. My room was spacious, but had no window. TV programmes were very limited. The power plugs in the room I stayed in are not easily accessible. Suggest to have power plugs near the table and beside the bed. Not behind the bed. Has some ants inside the bathroom, which some of them can bite you. Power source was very limited, you might need to bring your own power tray. Good location, cosy and clean. Mot enough natural light in the bedroom. Service was great and staff were friendly. Location is fantastic!